CITY OF WOOSTER…FASTEST GROWING SMALL TOWN IN ARKANSAS! The pavilion and kitchen facilities are available for rental at Wooster City Park. 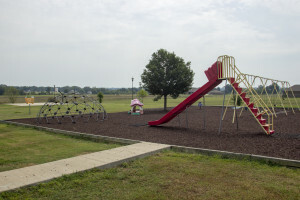 This is a five acre city park with a pavilion, covered picnic tables, bandstand, basketball court and playground. The Sheriff's Sale Auction is on May 11th! items will be available for viewing starting at 8:00am and the Auction will begin at 9:00. If you are interested in purchasing a firearm, you can go to CID (324 S German Lane Conway, AR) starting this week from 8:30am-4:30pm to fill out a firearm background check form. On the day of the sale, wristbands will be given to anyone able to bid on a firearm. Make sure to have your ID available when completing background forms. © 2018 City of Wooster, AR. Designed and managed by Quartzlight Marketing.